When it comes to space exploration, there have never been as many exciting reports from space as there are right now. And we're not only talking about amazing celestial body discoveries, but also records of distance, time, and the sheer volume of data collected by the spacecraft themselves. Some of the flashier space headlines have stolen a lot of attention: NASA's New Horizons flyby of Pluto, the first landing on a comet by Europe's Rosetta/Philae mission, the confirmation of liquid saltwater on Mars by NASA's Mars Reconnaissance Orbiter and the list goes on and on. But in the annals of interplanetary adventure, a few die-hard robots still hold claim to the greatest records of longevity and distance. Some have faded from public memory, having started their voyages so long ago, now as distant in the mind's eye as they are in space. Here is a short list of the most prestigious record-holders, and a recap of what their tireless efforts have achieved. Launched on July 8, 2003, NASA's Mars Exploration Rover, Opportunity, landed on Mars on January 27, 2004. 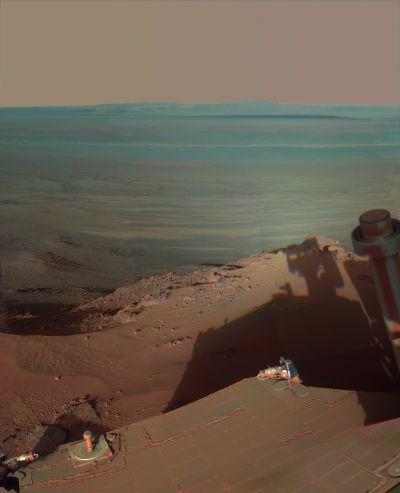 Now in operation for 12 years and 7 months, Opportunity has driven a total distance of 26.4 miles (as of last August) across a wide basin in Meridiani Planum, investigating the hematite-rich bottom land of what seems to have been a shallow sea long ago. 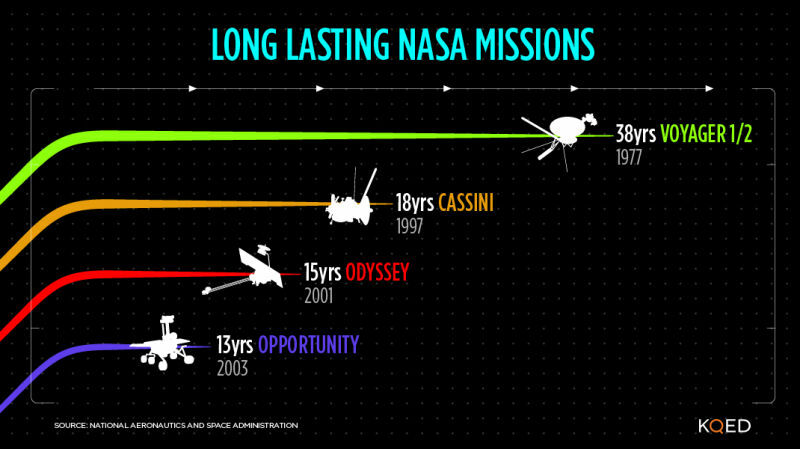 NASA's Cassini spacecraft was launched October 15, 1997 and arrived at Saturn seven years later on July 1, 2004. Today it is still in operation after more than 18 years in space. When its mission exploring Saturn and its entourage of moons ends around September 2017, it will have spent almost two decades in space—13 years in the Saturn system alone. Among its most notable discoveries is liquid water on at least two of Saturn's moon. Enceladus has water beneath its icy crust and Titan, Saturn's largest moon, has liquid water deep underground, as revealed by several close flybys. 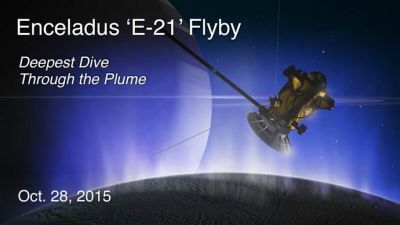 Cassini also dropped the European Huygens probe to the surface of Titan in 2005. Together the pair of spacecraft found a frigid world with a thick nitrogen atmosphere, hydrocarbon smog, as well as a global cycle of precipitation, runoff and seas of liquid methane. Mars has been the venue of many spaceflight firsts and records. It's the first planet visited by a spacecraft (Mariner 4), the first planet successfully landed upon (USSR's Mars 3), the first planet visited by a robotic rover (Pathfinder/Sojourner) and the list of firsts doesn't end there. It is fitting that the longest functioning spacecraft orbiting another world is a Mars-exploring robot. NASA's Mars Odyssey, launched on April 7, 2001, has been orbiting Mars since October that same year, over 14 years! Today, Odyssey serves as a communications relay for surface robots like Opportunity—another longevity and distance record holder of course! But in its exploration heyday, Odyssey mapped the chemical composition of Mars' surface, and gave us great insight into the location of water and water-related minerals that have painted the picture of a much more Earth-like world. Remember 1977? That's the year Jimmy Carter took up residence in the White House. It's also when NASA launched Voyager 1, on September 5, on a mission to cruise by Jupiter and Saturn. And now, over 38 years later, Voyager 1 is still in operation! Well beyond its last port of call—Saturn in 1980—Voyager 1 has taken the prizes of longest operational space mission and most distant space explorer. Now at a distance of over 12 billion miles (over three times farther than Pluto), Voyager 1 recently added another prestigious trophy to its shelf of achievements. It is now the first, and so far only, spacecraft to have officially entered interstellar space, beyond the bubble of space dominated by particles from our sun. The twin Voyager 2, though not as far out as its sibling, is also still in operation, and has its own unique claim to fame, being the only spacecraft to have visited the outer gas giant planets, Uranus and Neptune. It's worth noting a couple other items for the record book, although they're missions that are no longer in operation. Years before Voyager, Pioneer 10 launched on March 3, 1972 and headed to Jupiter, becoming the first spacecraft to venture into the outer solar system. 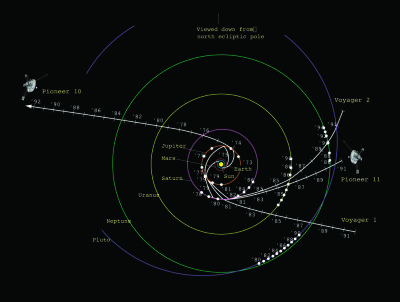 Our last contact with Pioneer 10 was on January 23, 2003, after a mission that lasted almost 31 years. And last, but not least, is the oldest derelict spacecraft of all, Vanguard 1, the fourth artificial satellite sent into space, following Sputniks 1 and 2 and Explorer 1—back in the era when a lot of spacecraft were numbered 1. Though long defunct, Vanguard still orbits the Earth. Launched on March 17, 1958, it sent its last signal to Earth in May of 1964. Vanguard has been in space for 57 years and 10 months and is expected to remain in orbit until at least 2109. There are other missions worthy of the record book, and many more vying for a spot on its pages. Here's the upshot: as difficult as exploring our solar system is, our space programs have achieved remarkable results, and there's much more adventure to come.